Some examples of our work! 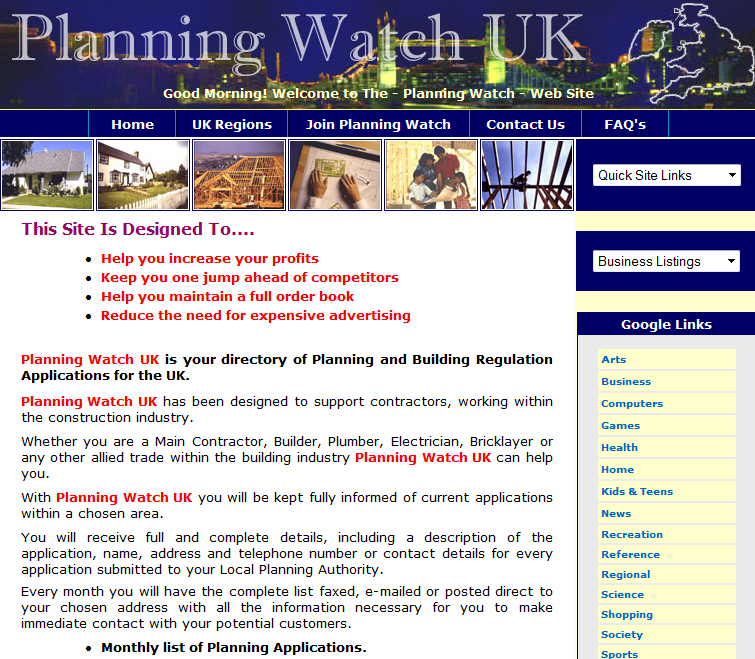 You too could have a website like any of these from as little as 199€. Channelled Spiritual Drawings and Auragraphs. The displayed 'Art' is unique. Whether we call it Spiritual, Psychic or Automatic Art is open to discussion - who knows? Based on the Costa Blanca North, Spain. 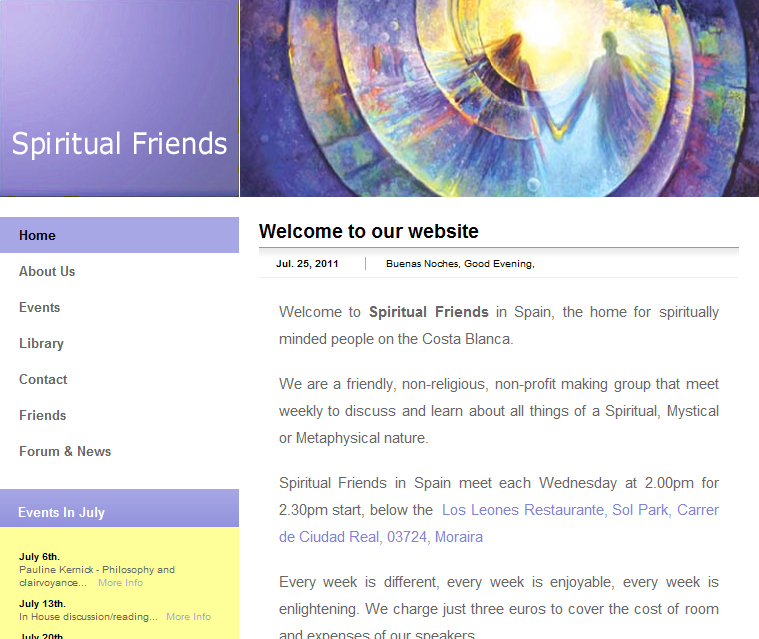 The group are a friendly, non-religious, non-profit making group that meet weekly to discuss and learn about all things of a Spiritual, Mystical or Metaphysical nature. 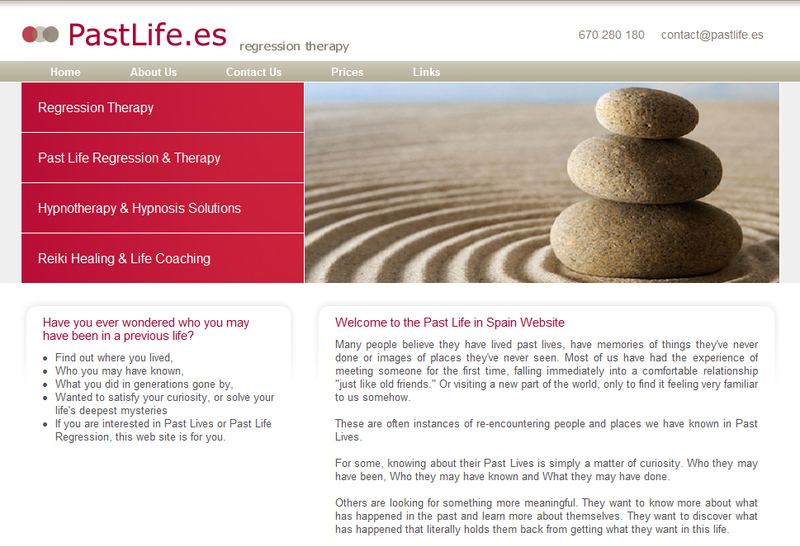 Past Life regression, journey into your own Past Lives, unlocking doors in your mind that open other worlds, other lives that were yours in another time. 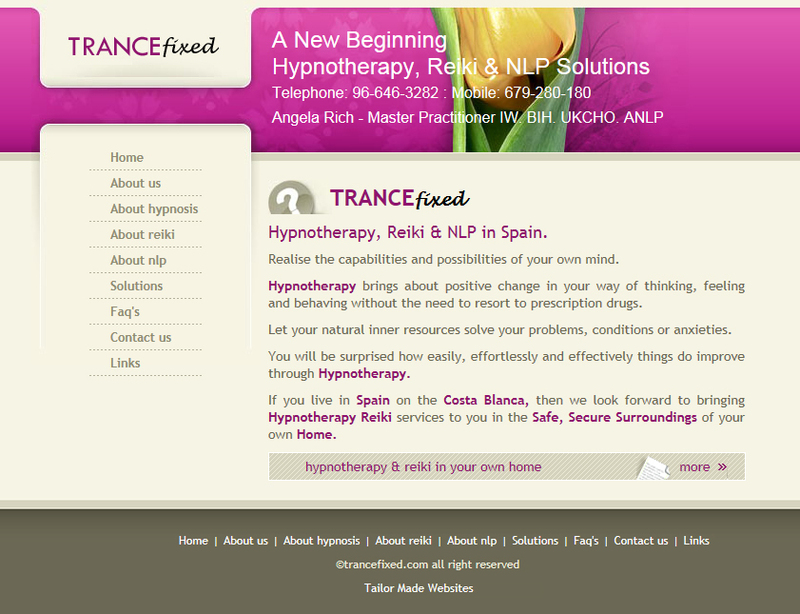 Trance Fixed Hypnotherapy, NLP and Reiki Services based on the Northern Costa Blanca and North Wales. The one 'Stop Shop' for all property maintenance on the Northern Costa Blanca. 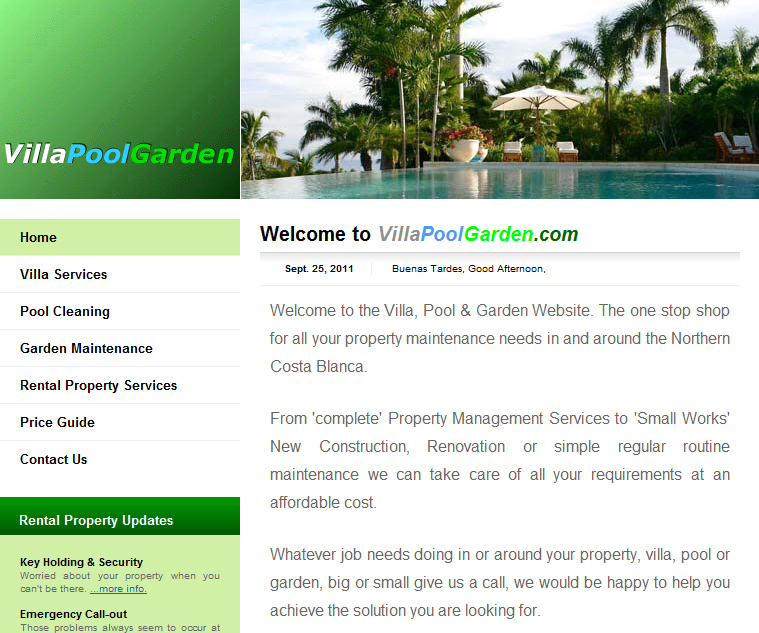 Whatever job needs doing in or around your property, villa, pool or garden, big or small give us a call. 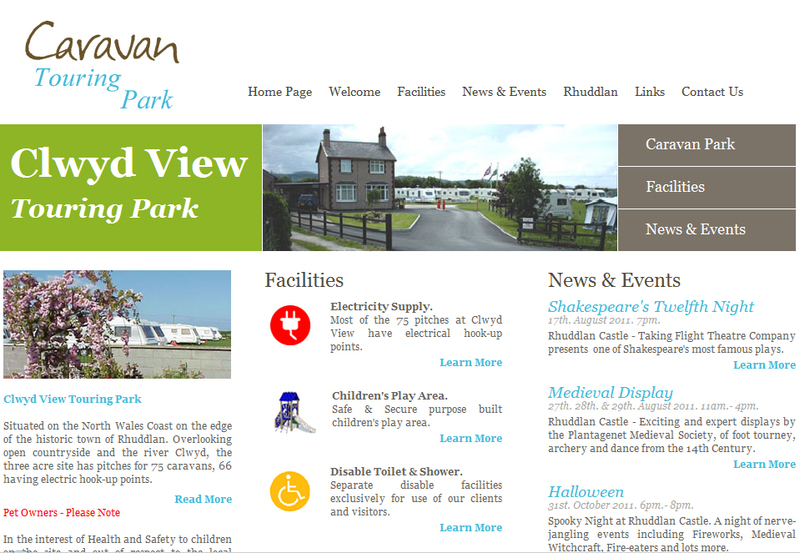 Touring Caravan Camp Site situated on the North Wales coast offering 75 pitches for caravans and tents most with power hook-up points. 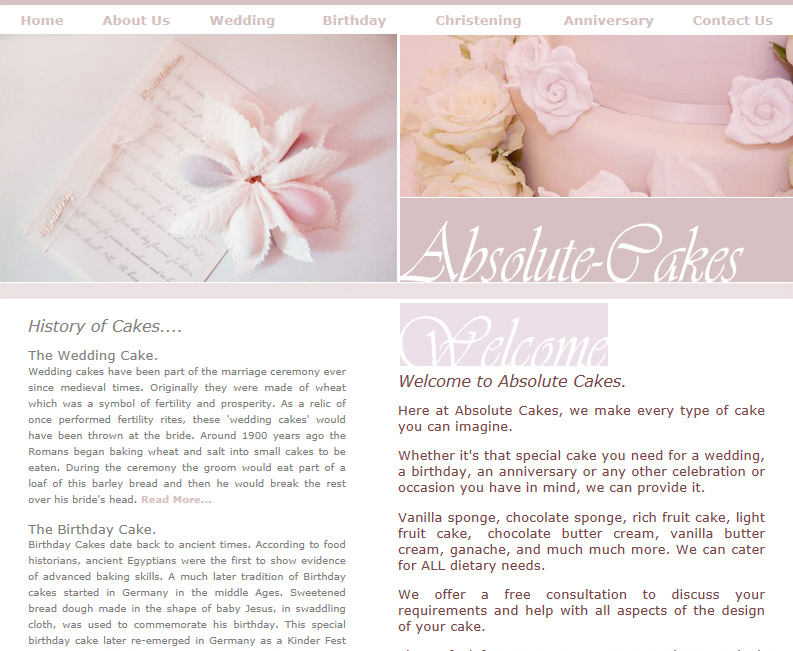 Based in Southampton and covering an area within 25 miles Absolute Cakes offer a wide range of Wedding, Birthday, Anniversary and Occasion Cake designs to meet all your requirements. This 4 page website has a unique and distinctive design. 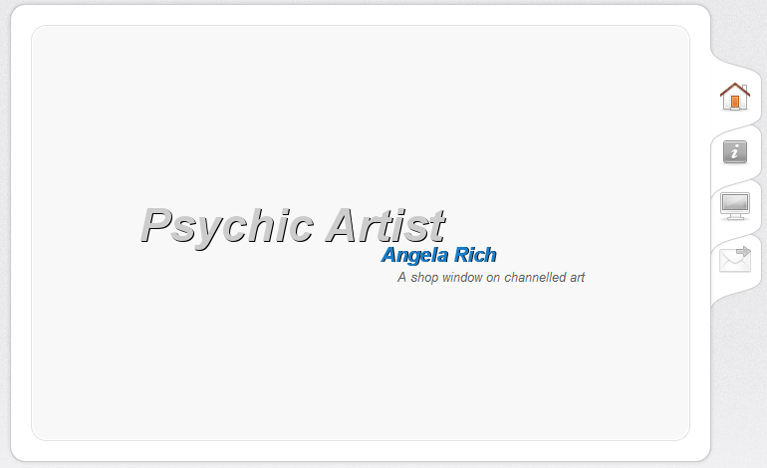 Contains an animated picture gallery to display your work to the best advantage. This design can be fully customised to meet you own particular preferences.